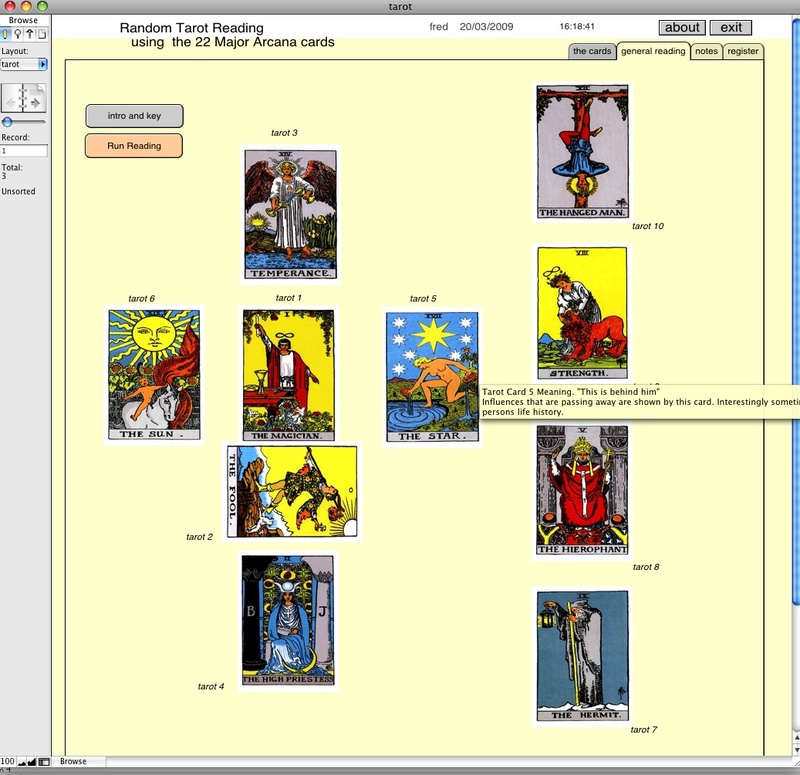 is a free random tarot card reader, originally borne out of an experiment with random card generation. 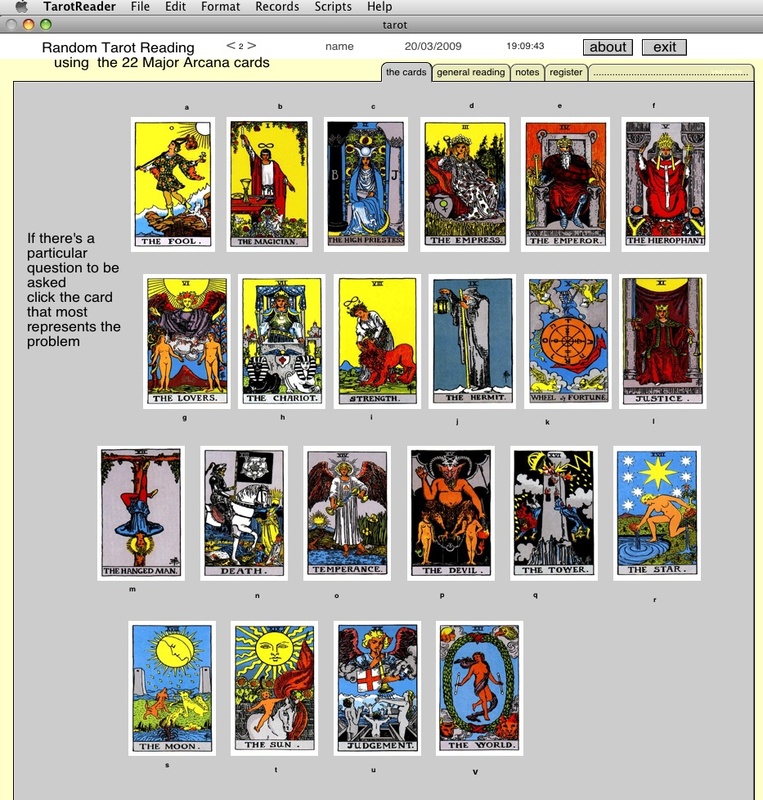 mouseovers give explanations of card meanings or position meanings. Find, sort and Print, use Paypal here to pay £10. We will send you an unlocking code. Please also send us an email with your name and email. thanks.